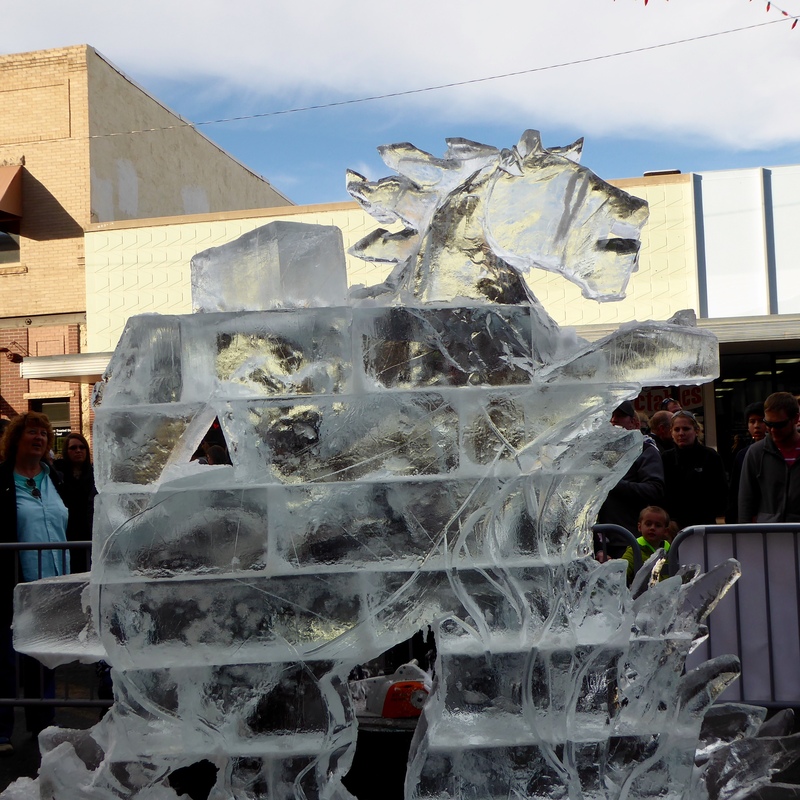 Fire and Ice Festival in a town named Loveland. 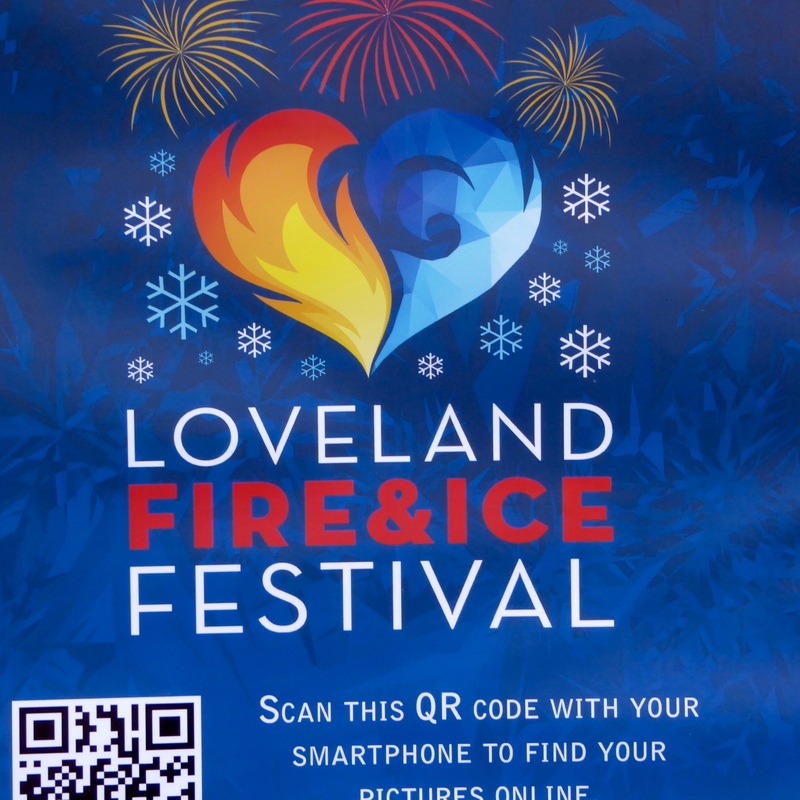 Loveland Fire and Ice Festival. Romance and fun is in the air. 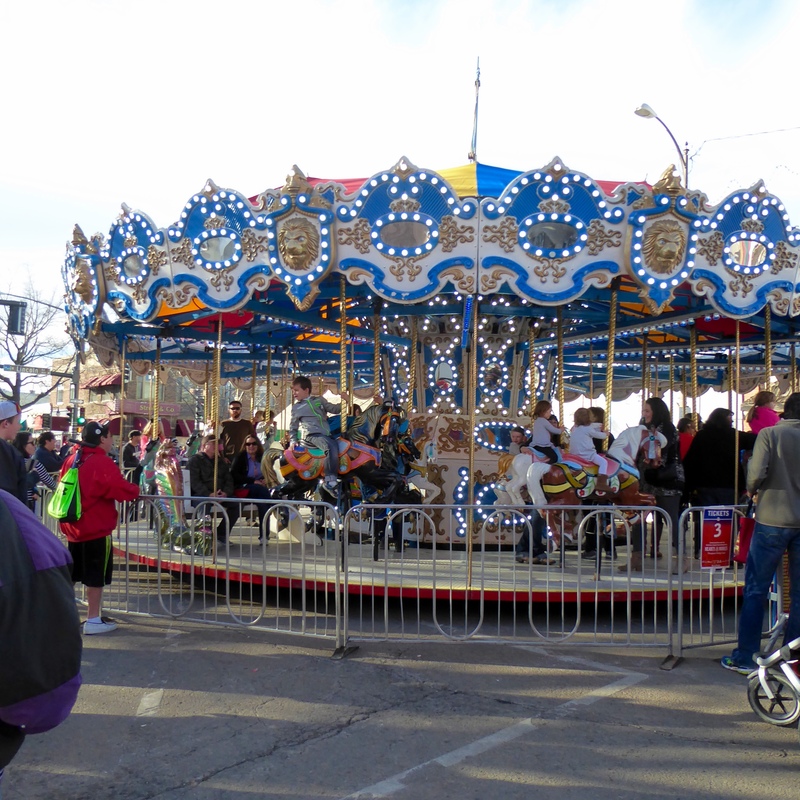 Smile and laughter from carousel riders add to the festival. Let’s see some of the ice. 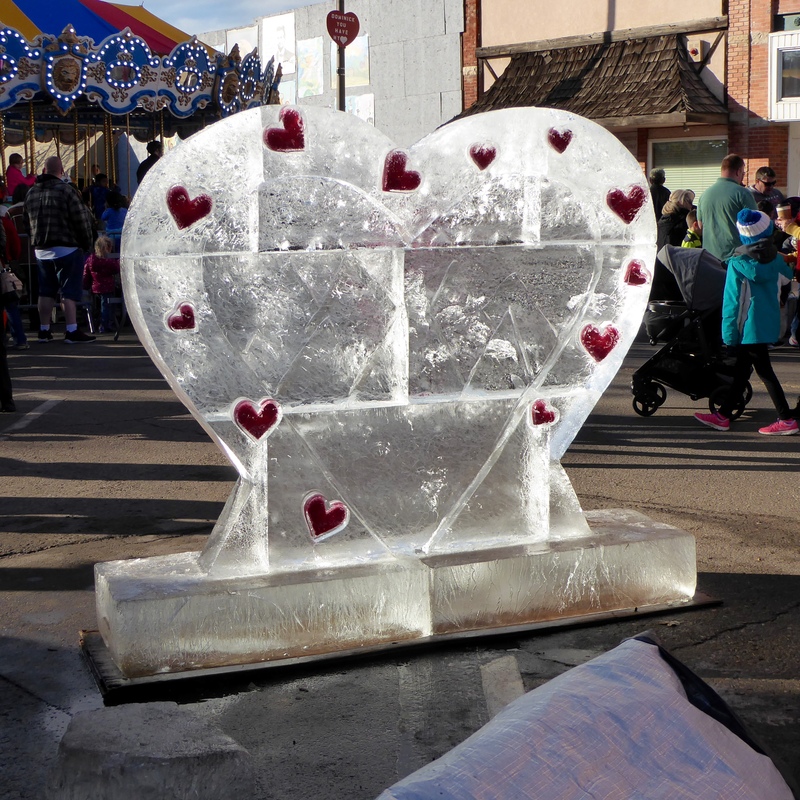 An ice heart symbolizes Loveland. Loveland even collects Valentine cards from drop off locations in the Denver area, and adds their unique Valentine postmark. 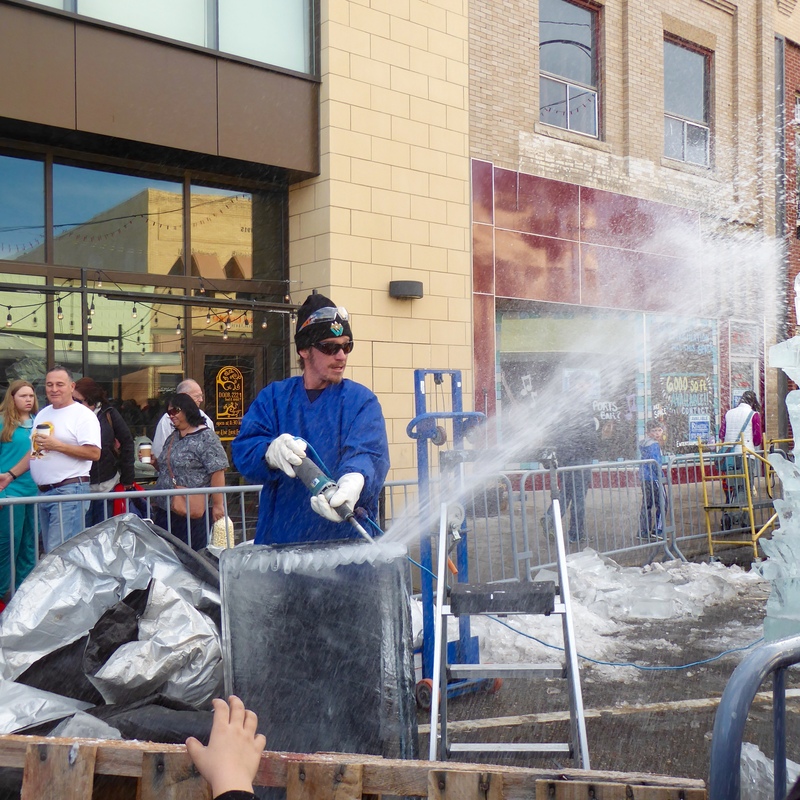 Ice being in the name of this festival, let’s watch the carvers. Ice flying into the group of spectators is certainly noticed. More details, still with power tools. This sculpture consists of many layers of ice. 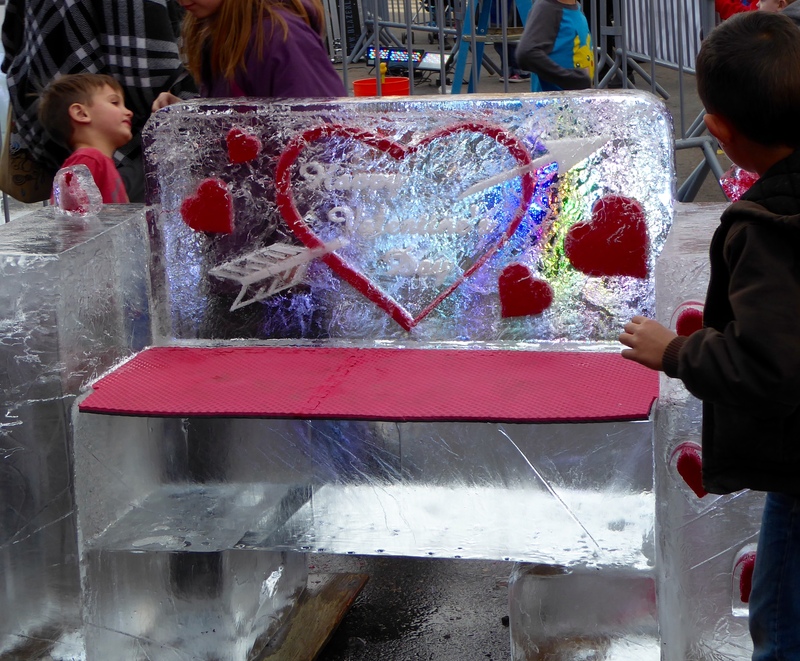 Loveland Fire and Ice Festival was this past weekend, so Valentine’s Day was a theme. A bench with Happy Valentine’s Day, even a heart and arrow. Humans won’t sit on ice very long, but we love it. One of the many booths highlighted Larimer County Search and Rescue. This working dog was so well trained. 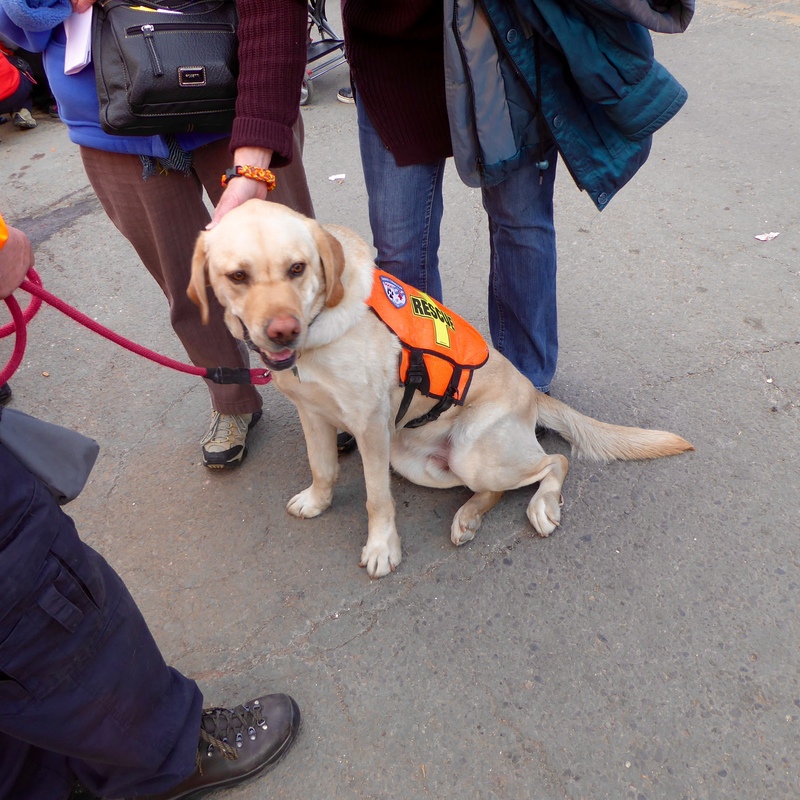 Tolerant of humans and a great asset to the rescue team, he was an instant hit with the humans. Search and Rescue teams are vital everywhere; this group receives many requests for mountain and wilderness rescues. Let’s see the fire for the festival. Metal and fire produce this great sculpture. We like this one also. For additional fire to the festival, there was a fireworks display each evening. 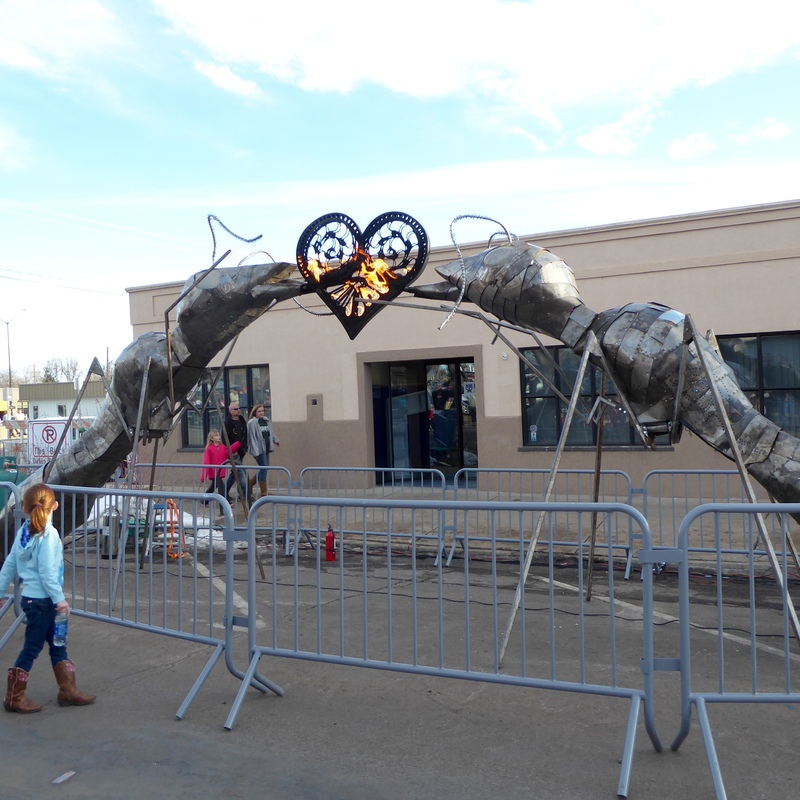 This bronze work, Lovers, is a great addition to Loveland. The artist is Robin Starkey. 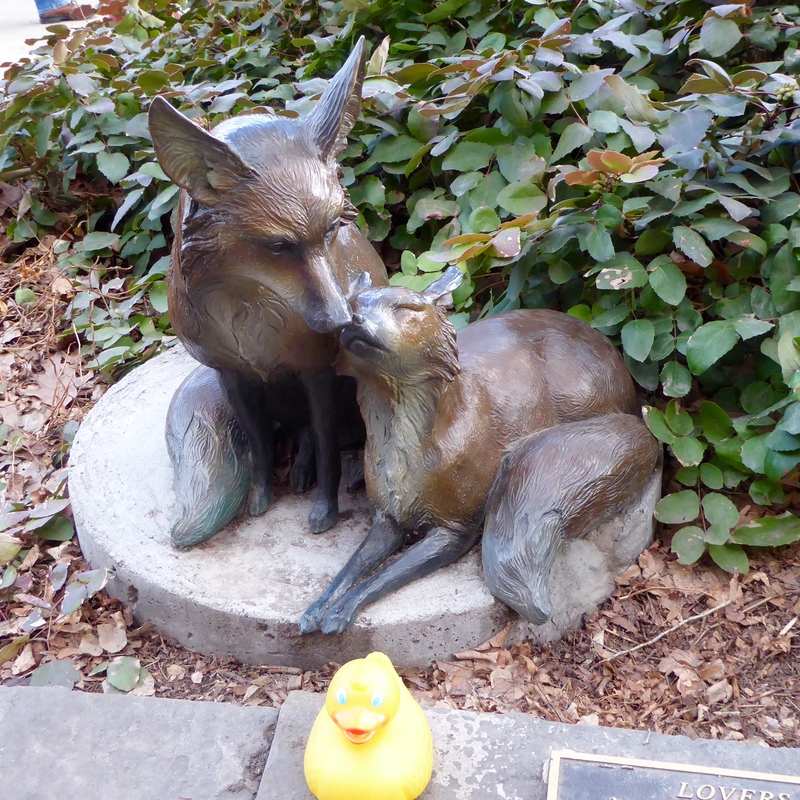 The Loveland Sculpture Group donated Lovers to the City of Loveland in 1998. Several food booths and souvenirs were available for festival visitors. We came home with Kettle Corn again. 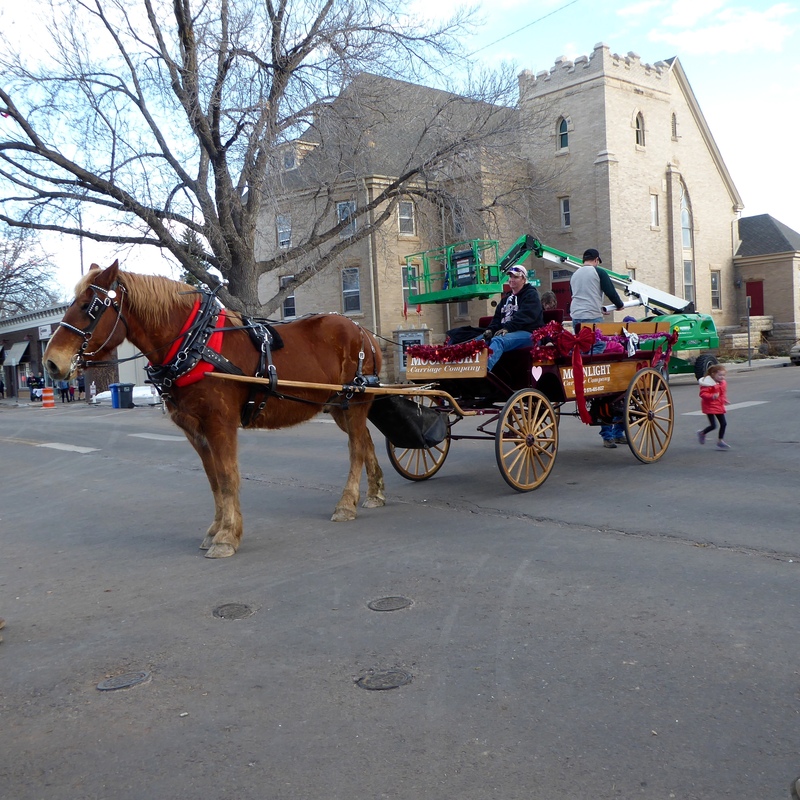 Horse drawn carriage ride were also available. This was great festival and we enjoyed mild weather. We want to go next year, also. 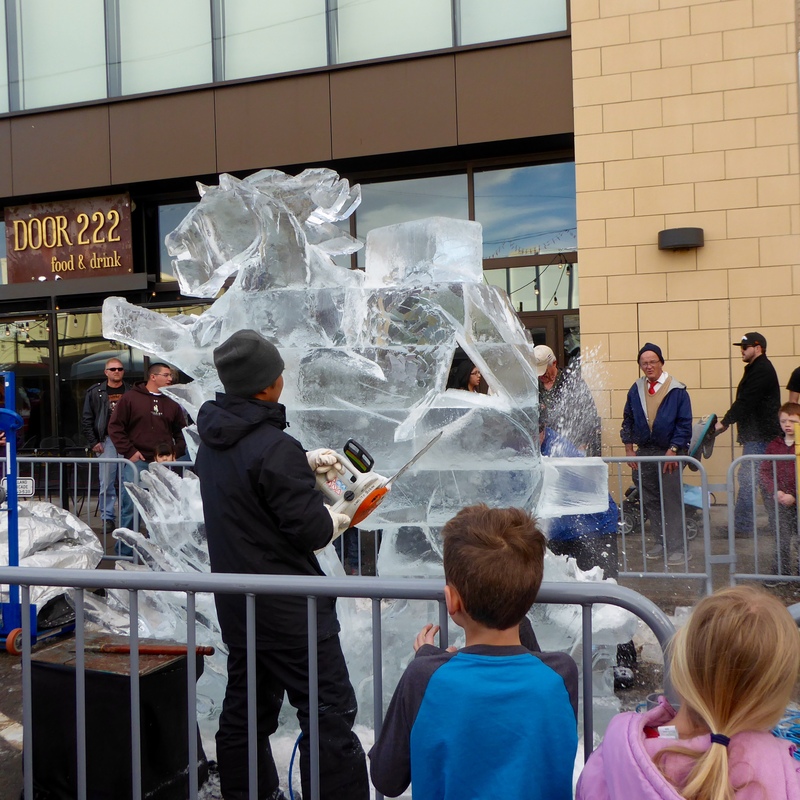 This entry was posted in Colorado, Uncategorized and tagged Colorado Traveling Ducks, fire sculptures, Horse carriage ride, Ice sculptures, Larimer County Search and Rescue, Loveland Colorado, Loveland Fire and Ice Festival. Bookmark the permalink. That looks like lots of fun, Ducks. You wouldn’t want to sit on that ice bench for too long. Thanks for reading and commenting. Festival was fun. Ice is beautiful, but cold. Love to watch them cutting ice with chain saws. And a good time was had by from the appearance of the lovely photos. The ice sculptures and owl are really quite spectacular. It was a lot of fun. 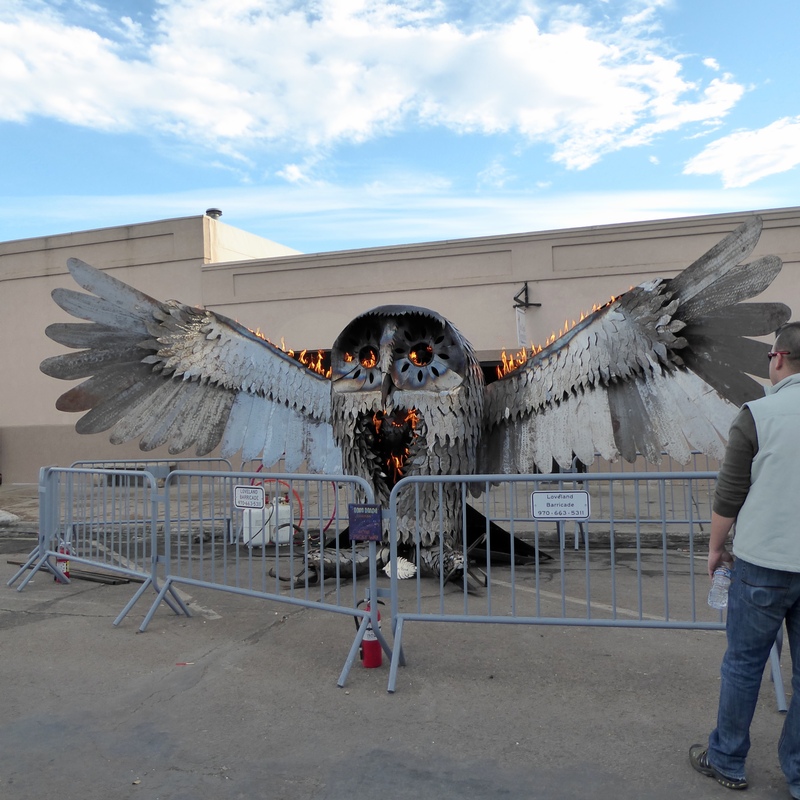 The owl and fire were firsts for me. Thanks for reading and commenting.